“UFC on FOX: Evans vs. Davis” takes place Saturday inside United Center in Chicago, Illinois. The first preliminary bout is scheduled to start at approximately 4:30PM ET/1:30PM PT. Make sure to stay with 5thRound.com all night for our live coverage. FUEL TV will broadcast six prelims live starting at 5PM ET/2PM PT. FOX will then air the main card immediately after beginning at FOX 8PM ET/5PM PT. This marks the network’s second foray into the mixed martial arts arena. 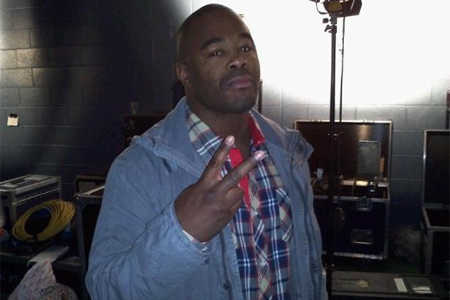 Saturday’s show will feature a light heavyweight scrap between Rashad Evans (Pictured) and Phil Davis. A middleweight top contender contest with Chael Sonnen and Michael Bisping serves as the co-main event.